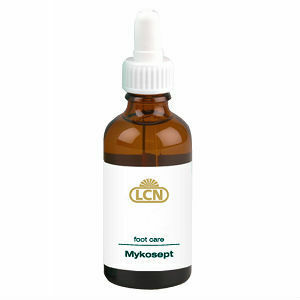 LCN Canada Mykosept Anti-Fungal Treatment is an effective antiseptic according to the product vendor that combats fungus and bacteria often associated with nail tips and nail sculpture products. • Cleans and prepares natural nails for nail extensions without first rinsing. Product sources provide no information on product ingredients. The product is sprayed liberally onto nails prior to applying nail tips, sculptures, wraps or gel nails. the product can also be used to prep nail plates for nail services and can be used to wipe down manicure stations. Product sources provide no other information on product dosage. The product comes in a 120 ml bottle container. Product sources provided no product price information although sources did contain an offer of $15.00 for a DVD on ASD product s and product features. Product sources provided no information on product guarantees or returns and no product reviews. Limited information was available from product sources even on the vendor’s website. The product is widely available in the UK for example but nothing is said about availability in the U.S. market. Potential product buyers may want to contact the vendor directly about this product, product price and availability. Jack Stevens	reviewed LCN Canada Mykosept	on December 18th	 and gave it a rating of 3.